What Rules are Getting in Your Way? It’s budgeting season, which means as a parent volunteer I am spending more time than usual at in budget meetings. The goal is pretty straight forward - plan a budget for the 2018-2019 school year that aligns with our school’s charter and is responsive to the needs to of our students. We’ve had an incredible fundraising year, so you’d think these meetings would be fun and full of possibilities. Sadly, the meetings seem to be filled with what we can’t do, bureaucratic red tape, union rules and time constraints. Quite honestly, they are some of the most frustrating meetings I have ever attended and I know I am not alone in experiencing this. In fact the majority of our k-12 educational organizations are strongly bound by rules and traditions. Instead of approaching new ideas with a “yes, and” attitude, it is not uncommon to hear all of the “yeah, butts” first. I wonder how many times new ideas are shut down without a lot of dialogue because people see that the new idea might violate a rule, routine or tradition. For most of us, the rituals and routines of schools have become well-established habits. We don’t even question them anymore or have any expectations that school should operate any differently than it is - especially when we are talking about making changes to a system that so many of us are products of. But what if all of these rituals, routines and rules are actually get in our way? What if they are getting in the way of learning for students? What if they are getting in the way of our teachers who are trying to innovate? Shouldn’t we do something to change them? Modify the rule or practice to make a big impact. Here’s an example of a teacher who had great success breaking a rule. Ashley Auspelmyer, the lead teacher of Studio D, a school within a school at Westwood High School, ran into a challenge with the established hall pass rule. Not uncommon, Westwood has a rule that states any student out of class must be in possession of a hall pass and each classroom is only given one or two hall passes to pass out at any one time. Yet, as an interdisciplinary school, the expectation for Studio D is that students are not limited to a classroom setting; they are out and about talking to people as a part of their learning. How could Studio D support this type of learning, with only one hall pass for 116 students? After identifying the rule that was getting in the way of learning, Ashley printed 116 hall passes, one for every student in Studio D. In the future, Ashley hopes that this modification of the “hall pass rule” will lead to a culture change across the entire school, one that says we can trust our students to do the right thing. A bathroom hall pass rule seems like a small thing, yet it was a huge barrier to the type of learning experience they were trying to create. What rule, practice or tradition will you question? I know the next time I attend a school budget meeting, I am going to actively work to turn any “yeah, butts” into a “yes, and…” by having examples of other schools who have found a way around the constraint in question. I’d love to hear about your experiences. What rules, practices or traditions are getting in your way? 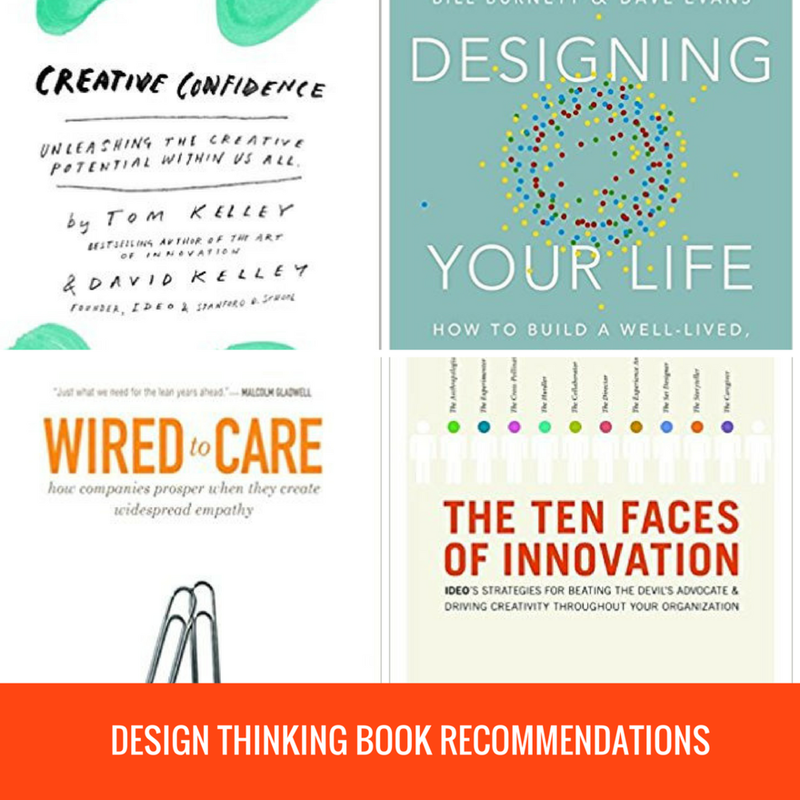 What's on My Design Thinking Bookshelf? Creative Confidence, Unleashing the Creative Potential Within Us All, by Tom & David Kelley. This book is written for everyone who wants to get in touch with their inner creative spirit. Filled with practical exercises and stories it makes for an excellent group book read. Change by Design: How Design Thinking Transforms Organizations & Inspires Innovation, by Tim Brown. This book provides a fantastic overview of design thinking and methods. This book is written in a way that makes Design Thinking accessible to any leader who wants to infuse the strategies into their organization. Ten Faces of Innovation: IDEO’s Strategies for Beating the Devil’s Advocate and Driving Creativity Throughout Your Organization, by Tom Kelley. If you have ever been annoyed by the “devil’s advocate” in meetings this book provides a remedy...ten in fact. Over the years, IDEO has developed roles people can play to foster new ideas. Anthropologist, Cross-Pollinator, and Hurdler are just three of the roles to explore. Designing your Life, How to Live a Well Lived, Joyful Life, by Bill Burnett & Dave Evans. This book takes Design Thinking mindsets and tools and helps you apply them to designing your life. It is an empowering book that will allow you to experience the power of design thinking on a very personal level. The Art of Innovation, by Tom Kelley. This book is a behind the scenes look at the problem-solving process used in IDEO. Kelley shares both success stories and failures using the process which can help any organization aspiring to be more creative in their approach to problems. 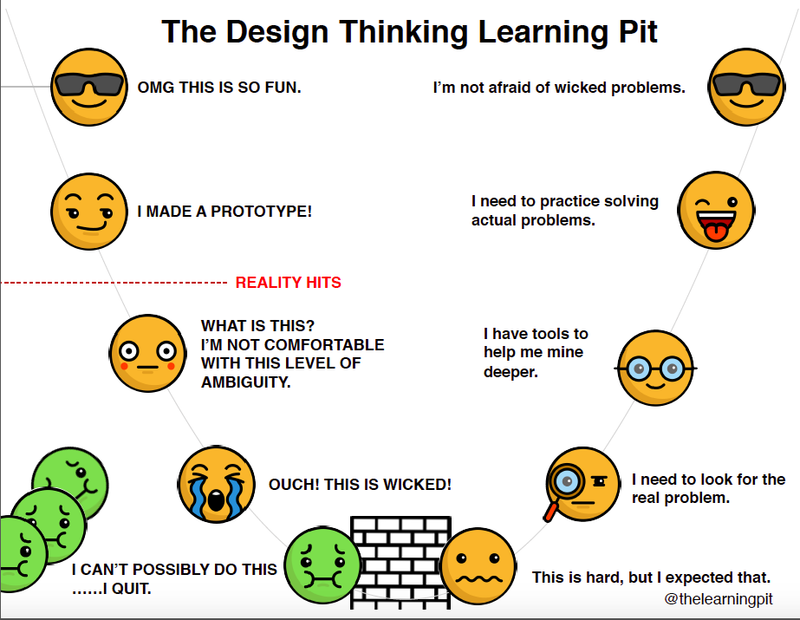 Design Thinking: Understanding How Designers Think and Work, by Nigel Cross. This book digs deep into the habits and mindsets of designers. Cross help demystify design ability. Steal Like an Artist: 10 Things Nobody Told You About Being Creative, by Austin Kleon. While not a book directly on design thinking, Kleon explores the notion that everyone is creative. You don’t need to be a genius, you just need to be yourself. Fun, inspiring and practical advice for everyone. Design Thinking for the Greater Good: Innovation in the Social Sector, by Jeanne Liedtka, Randy Salzman & Daisy Azer. Thus far most books on design thinking focus on the how-to and results within the business world. Design Thinking for the Greater Good looks at the potential impact in the social sector. Ten stories of change are told in fields such as healthcare, education and social services showing how design thinking strategies can work in heavily bureaucratic organizations. Designing for Growth: A Design Thinking Tool Kit for Managers, by Jeanne Liedtka & Tim Ogilvie. This book serves as a very practical handbook for leaders looking to use design thinking. Filled with strategies and tools, it is an action-oriented read. This is by no means an exhaustive list of books on Design Thinking, but will certainly get you started. What books make your top ten list? I’m always looking for recommendations. If you are looking for a book that explores the intersection of design thinking and school leadership, we may have just the book coming for you. Design Thinking for School Leaders: 5 Roles & Mindsets That Ignite Positive Change will be published in May of this year! Stay connected to get information on the book launch.